NEW YORK -- Following a frightening scene in the stands, the New York Yankees are making a move to keep their fans safe. 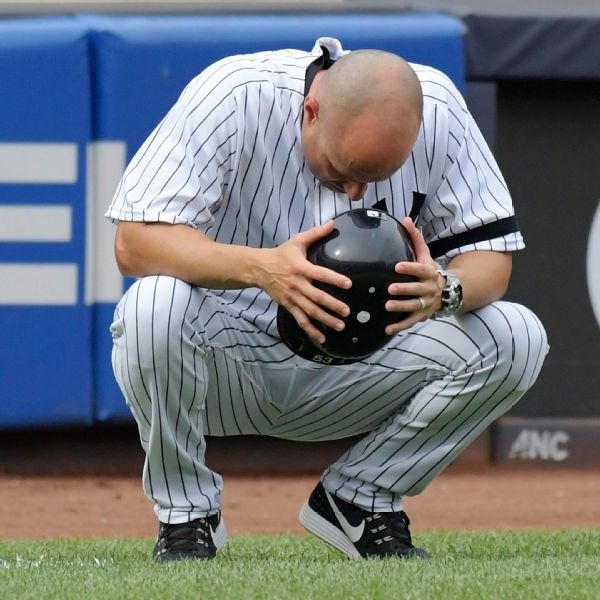 Eleven days after a 1-year-old girl was injured by a foul ball at Yankee Stadium, the team said it plans to expand protective netting at its home ballpark and spring training complex for next year. Since the girl was injured Sept. 20 by a 105 mph line drive off the bat of Yankees third baseman Todd Frazier, several teams have announced that they plan to add more netting to better protect fans. "That's great. I think not only here, but every team should have it," Frazier said. "It's a good step forward for the Yankees, man. I'm very proud to say I'm playing for this team, and they're going to make this change, and it's really nice." In a news release, the Yankees said they will "significantly expand" the netting this offseason at Yankee Stadium and Steinbrenner Field in Tampa, Florida. The team said that its current netting meets Major League Baseball recommendations, and the additional netting planned for 2018 will exceed those guidelines. Frazier said that as far as he knows, the young girl is feeling better. "To the best of my ability, with a couple of fractures and whatever it is, she's probably still hurting a little bit right now. But she's out of the hospital, so that's a good sign," he said. "[The girl's father] said he's going to call me when everything is fine. So I'm not going to bother them. From here on out, I'll just wait for them to call me, and eventually we'll hook up." Jacobson, who did not make his daughter's name public, said that when he first walked into her hospital room after the injury, her eyes were swollen shut. He said she had multiple facial fractures and had bleeding on her brain. As to the Yankees' announcement about extending the netting, he told the Times, "it's what they should have said from day one, but I'm happy to hear this. I hope the remaining teams follow suit because it's not just about the Yankees." "As a lawyer, I know we have a statute of limitations," he said. "There's a time and a place for that, but it's not on my radar." About Frazier, Jacobson told the Times, "Not only is he a world-class athlete, but he is a better person, and that is what really matters." New York City Council member Rafael Espinal released a statement Sunday applauding the Yankees' announcement, saying he would withdraw plans for a public hearing on his proposed legislation on the issue. Information fromESPN's Willie Weinbaum andThe Associated Press was used in this report.